URL without www not working. "You have not been authorized to use this domain. Please follow the settings instructions." is shows in blogger. You buy domain name and point your blog there. Users come to your blog via new domain name. But most users enter the url without www sub domain; and they complain that your content is not reachable. This happened to us recently, when we switched the domain name registrar. Did we waste money by buying a domain name? Not really, blogger already has a feature to redirect your domain name to www sub domain. While trying to do this configuration change in blogger, an error message was shown as below. We were not doing anything unusual, but following the standard configuration steps provided by blogger. 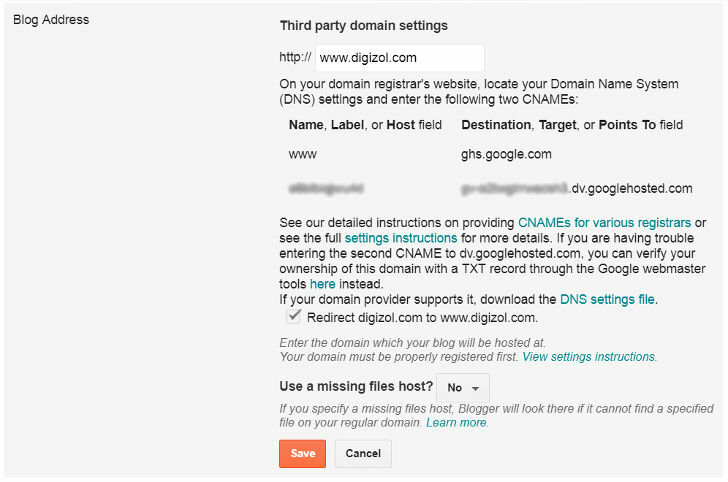 If you have already faced this issue, I assume you already know that it is required to set two CNAME entries using the values shown in your blogger in the website that you bought domain name. Above is our configuration. It can be viewed from below path. However even after setting those value correctly, you are facing the issue? Well, same here. We tried deleting and recreating CNAME entries on domain registrar's website multiple times with no luck. However, finally we removed the complete domain name configuration from blogger by deleting "www.digizol.com" in text box near http://. Then followed the same steps, adding the domain name as a fresh entry followed by CNAME entries and redirect. Wow! the error message is gone. Now; both urls with and without www are working fine. Money spent to buy domain name is not in vain. 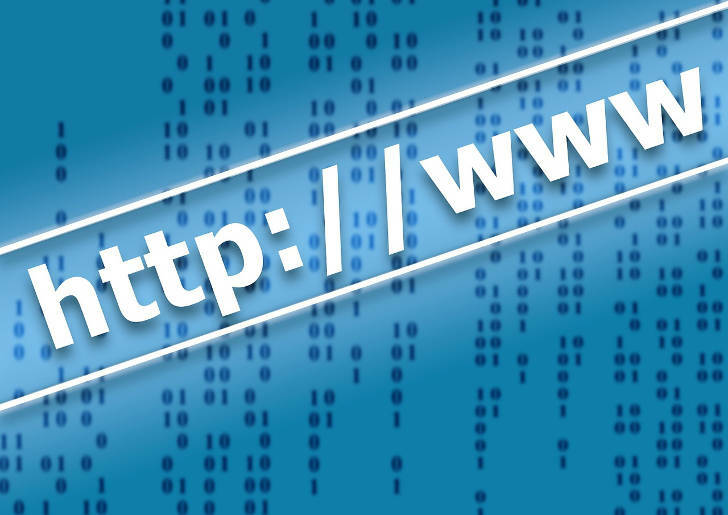 We believe it is always better to buy domain name for your blog rather than using the standard blogspot.com URL. We appreciate your opinions, suggestions and criticism. EMAIL NEWSLETTER$desc=Subscribe Now and Get Our Latest Articles Delivered to Your Email Inbox. [JBoss 4] How to change port 8080 in JBoss?